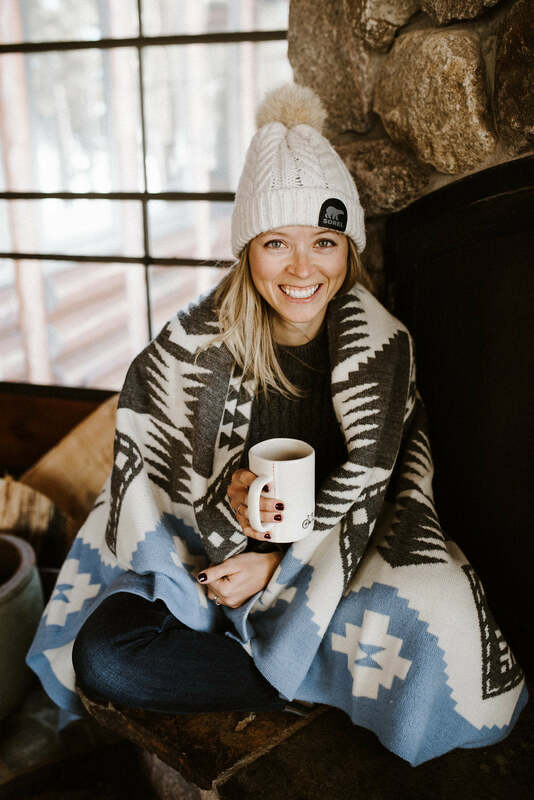 Northerly Vibes | Northerly Collective + Lake Effect Co.
Three words that best represent the feelings of heading/being/living North? The term “true north” is associated with finding and pursuing your purpose. How does this definition of true north correlate in an equally literal sense to choosing to invest time & your life in the North? B: Away from the hustle and bustle and noise of the city, life in the North seems to be “slow” for some. For others, like me, we find the slowness to allow time for dreaming and creating inspiration and imagination. Everyone has a different place that feels like “true north”, it’s recognizing where yours is and going there regularly. Better yet, living there. E: I have traveled to many corners of the world and lived in different countries + big cities, however, there is something that always draws me back to the North. Perhaps it’s the sense of community, slower pace, or nature that takes your breath away, but I am constantly inspired by this place. I think that there is a place in the world that is everyone’s “true north”. Whether you decide to live in your “north” or visit as much as possible, it is a place to invest your heart. K: When I’m spending time in the north, surrounded by woods and water, it’s easy for me to access my purpose. There’s a renewed sense of connection to my “true north” because I’m able to get clear on what it is, spend time intentionally considering next steps, and accessing a different creativity than I’m able to find when I’m in my “routine” life. Favorite northerly vibe: woods or water? B: woods - snow covered pines make my heart swoon. K: water - when i’m submerged in the water (in warmer seasons) or by it’s edge, there’s a true grounding sense that refreshes, renews, and tugs at my heart. B: Starting the day slow with a morning walk (coffee in hand) reminding yourself of the beauty around you. K: Really can’t beat cozying up by a roaring fire, sore after a day of hiking around in heavy boots, with a good book, tired pup snuggled close, and oversized blanket. There’s a common stereotype that northern Wisconsin, and the north Midwest in general, is very much asleep in the winter, with a focus on dive bars and hibernation. How have you seen this to be true or to be a misconception? B: A huge misconception! With freezing temps + snow falling from the sky, northern Wisconsin becomes alive with skiers, snowmobilers, and other winter enthusiasts. Northern Wisconsin does have a plethora of dive bars, but use them to your advantage - stop in for area tales + local secrets. E: Dive bars - yes, slower pace - yes, but there is easily just as much to do in the winter as there is in the summer. For Northerners, smaller crowds mean that we are able to connect with one another and explore the woods. 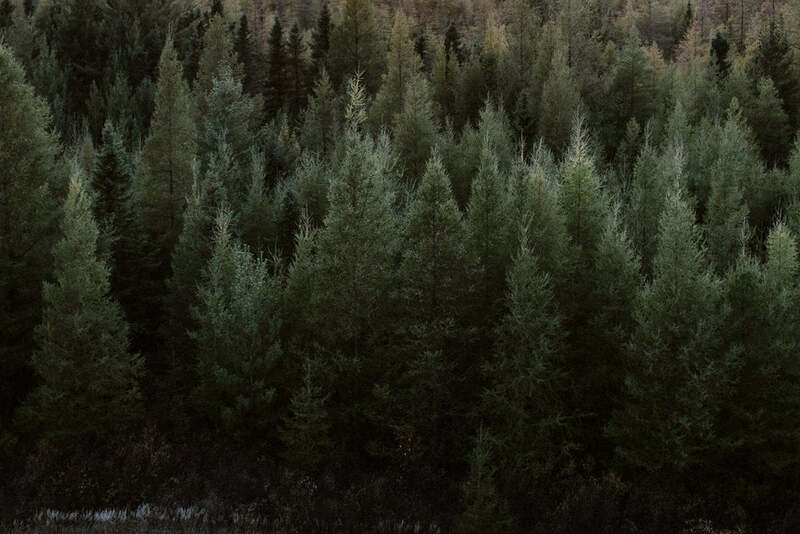 For visitors, there are amazing trails to play on, cozy cabins to stay in, and delicious food to eat. K: It’s as sleepy or dive-bar focused as you make it. I’m probably just as active in the winter simply in amazement of the snow-dusted world and in the attempt to keep blood flowing to stay warm. Who said it? Henry Ford? If you chop your own wood, it’ll warm you twice. Because it’s true. What’s the most interesting or exciting adventure that you’ve experienced while embracing Northerly Vibes? 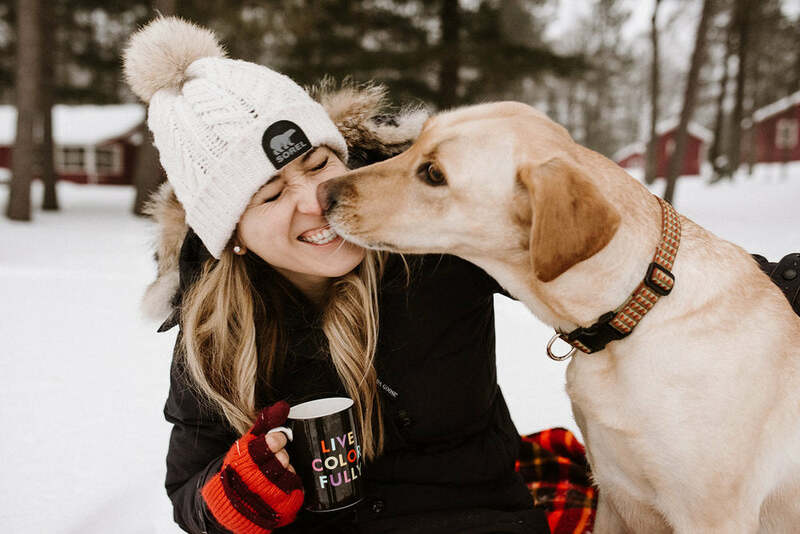 B: A simple adventure comes to mind, I spent a summer day walking the beaches of Lake Superior with my golden retriever, Ruby. It was a casual, unplanned afternoon, but being disconnected from cell service, stress, and enjoying the sand + sunshine was just what I needed. 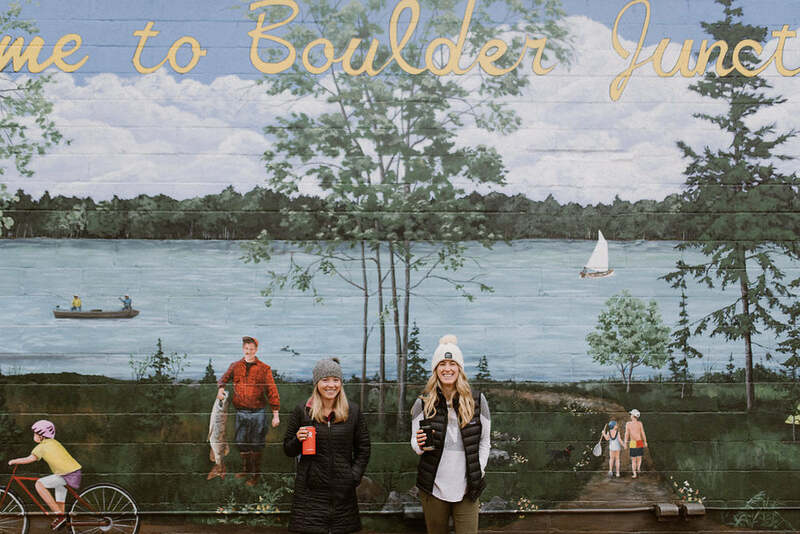 E: One of my favorite adventures is a trip that Becca & I took to Bayfield, WI. I didn’t spend a lot of time traveling north of Manitowish Waters before I lived here full time, so this trip was remarkable. We drove slowly, stopped at a lot of places along the way, took pictures, and stood in wonder at the Big Lake with the sun on our face. We ate amazing food, drank coffee, took the ferry, and wandered through Bayfield, Madeline Island, Cornucopia, and Ashland. It was a north that I had never seen, and it inspired me to keep searching for hidden treasures. 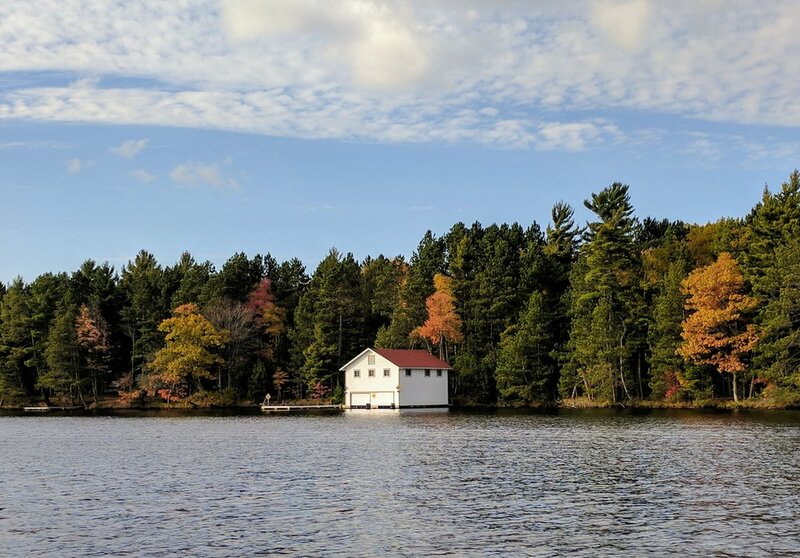 K: Rarely do I get time at the cottage in the fall, but earlier this fall - during peak colors - I was able to have a near perfect day. I spent the morning at a new coffee shop, chatting with the owner and a few locals over coffee and freshly-made pastries. Afterwards, there was a drive and some hikes to chase the perfect colors around the Three Lakes Chain, quickly followed by a boat ride to chase that same beauty. 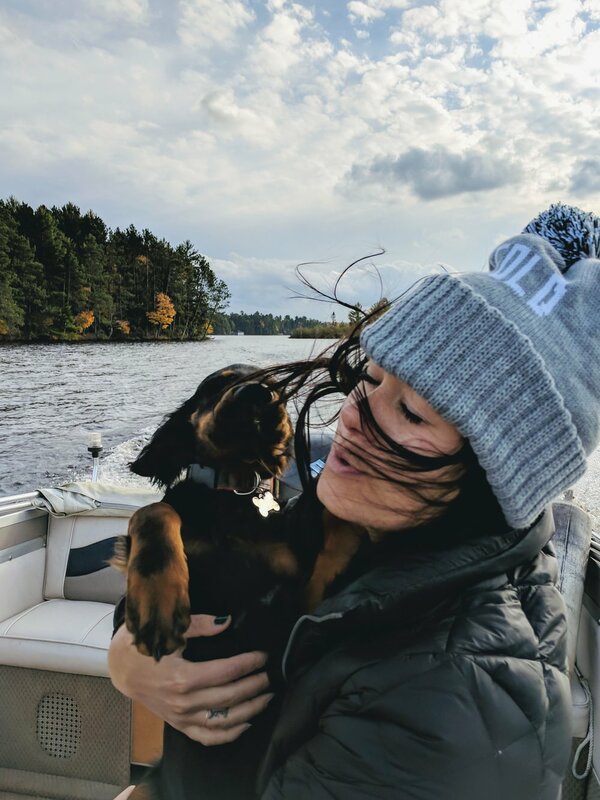 We were bundled, puppy in-tow and had to go slowly enough so the wind wouldn’t hit our faces too hard. Snapping pictures, chatting about the perfect reflections the trees made on the water’s surface. We rounded the night out with old fashioneds & fish fry at a favorite restaurant where we truly talked, without interruption or distraction for hours. What are a few pieces of clothing or gear you find crucial to living your best life of Northerly Vibes? E: As long as you keep your head, hands, and feet warm, the rest of your body will be happy - oversized hat, mittens + wool socks. What’s one last thing you want people to know or consider about embracing a lifestyle filled with Northerly Vibes? B: Alfred Wainwright said, “There’s no such thing as bad weather, only unsuitable clothing.” So buy the amazing winter jacket, warm mittens, and expensive snowboots, heck maybe always keep them in your car. I promise you, exploring on a snow day will make your heart wander and your world slow, and it will be so so worth it. E: It’s easy to get caught up in wanting to see the entire world (don’t get me wrong, I have an impressive bucket list), but there is so much beauty right in your backyard if you take the time to look. 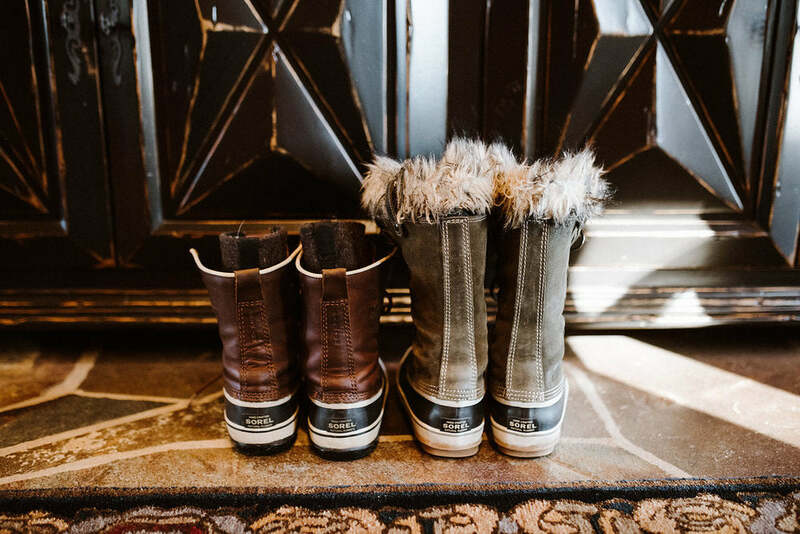 We started Northerly Collective because we firmly believe that the North carries all of the magic that you need to learn, grow, relax, smile, explore, and dream. Let us show you! K: Adventure truly is wherever you make it. True rest and contentment are also easily yours. A life embracing northerly vibes - soaking in time in nature and consciously connecting to the moment and what/who is around you - will bring you a contentment you’ve never known.